(2) the multi-level dynamics of viral co-infection. 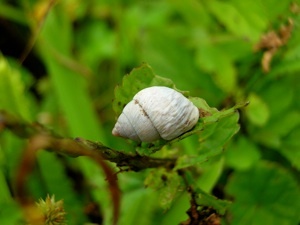 A lot of my research efforts have been focused on Galápagos bulimulid land snails. With nearly 80 species described, this endemic lineage is the largest adaptive radiation on these islands (Parent_etal_2008.pdf). Furthermore, Galápagos are the most pristine and well-protected oceanic islands in the world, and therefore the biodiversity patterns we observe today are not confounded by human-driven extinction. This system is exceptional for the study diversification, and I am thrilled by the research directions it has and will continue to offer. Species diversity on islands is the result of three distinct processes: within-island speciation (WIS), between-island colonization (BIC), and extinction. The contribution of these processes to species diversity and community assembly has long been recognized, but very seldom have they been studied together in detail. The relative contribution of BIC and WIS to species diversity can be quantified using molecular phylogenies, and I was thus able to separately evaluate the importance of biogeographical factors in driving diversification processes (Parent_&_Crespi_2006.pdf; Losos & Parent, 2010; Parent_2012.pdf). For Galápagos endemic land snails, I found that species richness results from BIC and is mainly driven by island area and insularity, whereas species richness resulting from WIS is mainly determined by habitat heterogeneity (Parent_&_Crespi_2006.pdf). In subsequent comparative studies of island systems and taxa, I have shown that the importance of biogeographical factors varies according to specific biological attributes of taxonomic groups, and the geographical settings where diversification unfolds (Losos & Parent 2010; Parent_2012.pdf). Another key but often overlooked aspect of diversification on islands is the dynamic character of island geography. 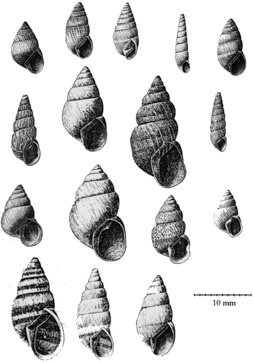 Speciose lineages with low dispersal such as land snails are ideal to reveal the signature of evolutionary processes over time (Cameron_etal_2012.pdf). These findings are exciting because they show we can use islands as “snapshots” of the diversification process through time, and thereby reach a better understanding of how biodiversity is formed and maintained. Models of adaptive radiation suggest that speciation may be driven by adaptation to new resources. Increased intraspecific phenotypic variation and/or niche width are expected to represent the very first stage of diversification resulting from a shift to a new adaptive zone. Using measures of intraspecific variation of Galápagos land snails in a phylogenetically-controlled framework, I showed that local habitat heterogeneity and intensity of local congeneric competition are associated with higher and lower intraspecific phenotypic variation, respectively (Parent_&_Crespi_2009.pdf). In fact, the intraspecific phenotypic variation associated with environment parallels the interspecific phenotypic variation found across the entire lineage on the archipelago (Parent et al, in prep.). The latter finding is very exciting as it is the first empirical evidence for parallel phenotypic variation below and above the species level, supporting the idea that processes acting below or at the species level leave a detectable signature at larger spatial and temporal scales. I am complementing the comparative work described above with experimental work using Tribolium castaneum flour beetle populations. In collaboration with Dan Bolnick and colleagues at UT Austin, I have demonstrated that resource-based selection led to reproductive isolation in this laboratory system (Falk_etal_2012.pdf). We proceeded to test the prediction that diversifying selection for niche expansion increases with intraspecific competition during ecological release. Contrary to this prediction, we found that intraspecific competition decreases niche width. Although similar evidence for niche contraction with increased competition has been previously reported, these findings have never been reconciled with current niche theory. To do so, we fully parameterized a mathematical model, tested its key assumptions and proposed modifications to account for their violation. We found that, under certain conditions, intraspecific competition can lead to niche contraction, and therefore cannot be assumed to always be generator of diversifying selection (Parent et al, in prep). Such finding of niche contraction is significant because it undercuts the generality of ecological explanations for adaptive radiations and ecological speciation. I am also collaborating with Erica Bree Rosenblum at UC Berkeley to characterize the convergent evolution in a wide range of terrestrial invertebrates that have recently colonized a single new adaptive zone to determine how predictable (and therefore constrained) their evolutionary paths are. We are working to unravel the population genetic structure and working on determining the genetic basis of color-based adaptation in a range of terrestrial invertebrates from White Sands in NM. 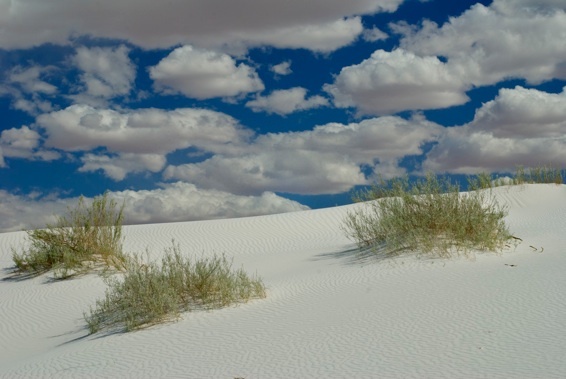 White Sands is a very young (~6,000 yrs old) desert with environmental conditions in strike contrast to its surroundings. Numerous plants and animals that have colonized this “island” show evidence of convergent adaptation and potentially speciation. This work is exciting because it tackles the significant questions regarding the roles of ecological opportunity and constraints at a much greater taxonomic (and therefore time) scale than what has been considered before. Characterizing diversification on insular systems – My empirical work (Parent_&_Crespi_2006.pdf; Losos & Parent 2010), and my review of Galápagos diversification (Parent_etal_2008.pdf), highlighted the extensive variation among lineages in their propensity to speciate within vs. between islands. I will expand this work to include all insular lineages for which molecular phylogenies can be obtained. This empirical approach will allow me to identify the key determinants of speciation on island systems. Developing theoretical models of speciation on islands – Currently there is no theoretical framework to inform our predictions regarding the outcomes of evolution on islands. I will develop theoretical models to study the biogeograhical and ecological determinants of community assembly and diversification on islands. Although it has been suggested that island communities might differ based on the evolutionary processes responsible for their assembly, clear testable predictions still need to be formulated. Using a modeling approach combined with Approximate Bayesian Computation methods I will be able to compare empirical and simulated data to estimate parameters relevant to community assembly and diversification on islands. Determining the relative role of intra- vs. interspecific competition in diversification – I will expand my work on Galápagos land snails and investigate the nature of the intraspecific variation I observed across this adaptive radiation. I will characterize the phenotypic and genetic (Parent_etal_2008b.pdf) variation within each bulimulid species, and further test the roles of intra- vs. interspecific competition in shaping niche width and phenotypic variation. This work offers a promising avenue to study the parallel between phenotype-environment relationships above and below the species level. This hypothesis-driven approach represents the foundation for a long-term research program in evolutionary ecology. Studies of insular adaptive radiation have been primarily descriptive. My research seeks to transform this subject area by statistically measuring the processes that underpin adaptive radiations, creating and maintaining species diversity on islands. This research has broad implications for the study of biodiversity in general, since process partitioning is relevant to many island-like systems: lakes, mountain tops, and the fragmented habitats that are becoming the norm in our modern world. Furthermore, my research seeks to reveal mechanisms of diversification in organisms confronted with novel environments. The latter is particularly relevant as human impact on the environment increases, leading inevitably to fragmented habitats, and leaving an increasing number of species confronted with changing environments. 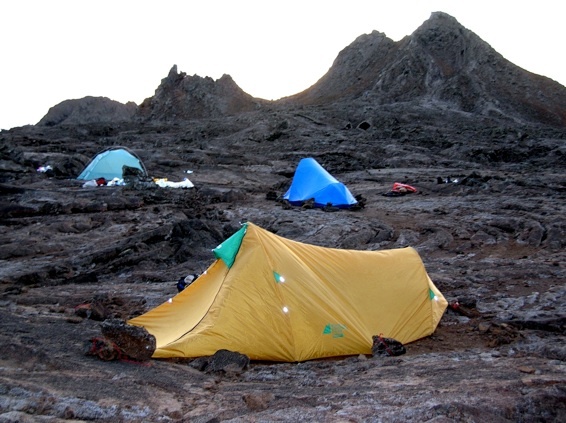 The same way organisms colonizing a newly formed island are exposed to novel environmental conditions, organisms are also confronted to new and changing conditions in their environment. Of particular interest is how organisms respond to increasing exposure to infectious diseases. Infectious diseases represent a major public-health problem. With the increasing global mobility of human populations, individuals are being exposed to an increasing diversity of viruses. Many approaches are used to study viral infections at different organizational levels, ranging from very detailed molecular studies of specific viruses to epidemiological studies at the population level. However, the majority of these studies focus on single viruses, ignoring the potential effects of co-infection. The rate at which individuals are exposed to a changing pool of viruses is likely to be higher than the viral clearance rate for individuals, leading to viral co-infection. Although it is clear that the outcome of co-infection can be different from single infection, very little research has been performed to understand the direction, magnitude, as well as the implications of and the circumstances leading to this difference. We are building on the host-virus system of Drosophila and associated viruses currently being developed at the University of Idaho. This fills in the existing gap for a model system that can be used to address questions at all levels of organization, from molecules to communities. This system will allow us to leverage the advantages of studying large host and viral populations, powerful genetic tools, and ready access to sequencing technology. We focus on questions typically not easily addressed in other experimental systems. The long-term goal of this research is to uncover properties of viral co-infection that can be tested for generality in other systems. Since insects are frequently vectors of viral pathogens, these properties may be of particular interest for vector borne viruses. The objectives of our work are to establish a tractable invertebrate model of viral infection and co-infection, and to develop mathematical models to understand how viruses interact with each other and their host to ultimately affect the host pathology and population dynamics. More specifically, we are testing our central hypothesis that co-infection gives rise to non-additive effects relative to single infections, and that these effects are correlated at different levels of organization.